First, I want to thank everyone for their kind words about my protag Boxy. After your comments, that story has definitely jumped the queue in WIP land. Thank you. Today I’m starting a series of stories from my younger years, things that have happened to me, or those moments where suddenly the world just made sense in a different way. If this isn’t your thing, don’t worry, I’m going to try to keep these to one a week. 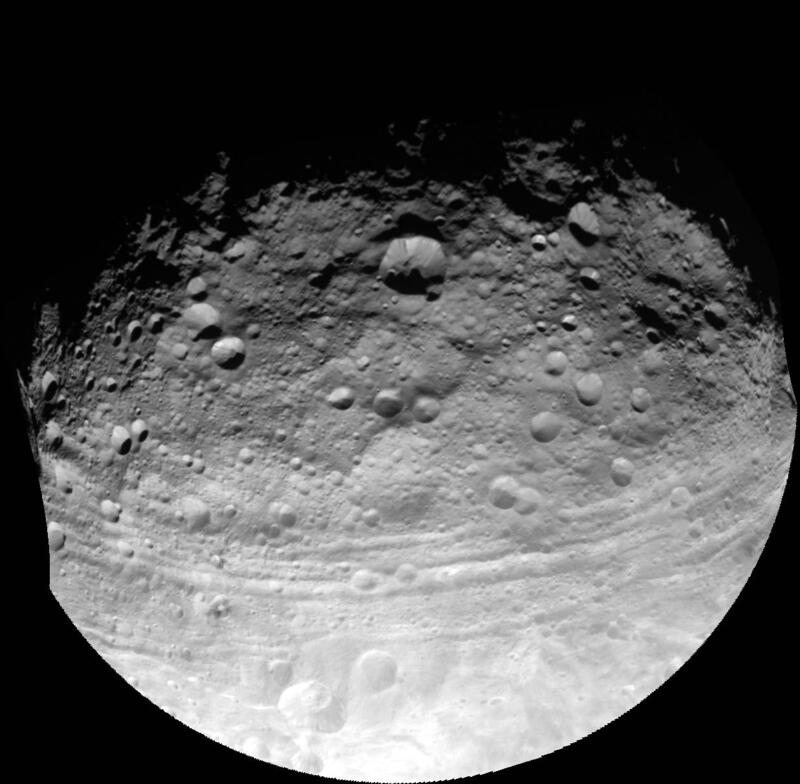 This is Vesta (image from NASA), an asteroid. And to start off, the day I knowingly and willingly LIED to my grandmother. Before this story will make much sense, you have to understand that my poor grandmother was incapacitated at birth by oxygen deprivation, and the damage was permanent and long lasting. She was the classic definition of slow, suffering from mental retardation. Now this didn’t hinder her ability to be part of a family, it just meant that she couldn’t read and had the emotional range of a six to seven year old. I loved her dearly. But sometimes explaining the world—you know, like the lyrics to Madonna’s “Like a Virgin”—was challenging. When I first came back from grad school (my undergrad was a long drive, but I made it home for Turkey day and Christmas every year; when I went off to grad school it was on the opposite side of the country) my grandmother asked me what I study. Before this, I’d always told her “Rocks, Grandma, I study the way that rocks move and change over time.” It had been my standard response for a few years, but for some reason, I was feeling full of myself. A cascade of answers flew through my brain: the oldest rocks in our solar system, ancient pieces of rock that didn’t become part of the planet, rocks kept from becoming a unified planet by Jupiter’s gravitational well, but none of them quite fit my grandmother’s working vocabulary. “They’re rocks that fall from the sky,” I said. She rolled her eyes at me. “Oh, for heaven’s sake, Rena. Rocks don’t fall out of the sky!” the ‘even I know that,’ was, of course, implied. My argumentative scientist—you know the one who starts every rebuttal with “Actually…”—started to kick in. But then something crazy happened. I’d never experienced that moment in life when in the span of a split second thousands of possibilities all occurred to me at once, and I realized how terrible the truth could be. Imagine someone who’s a hypochondriac learning that Rocks Actually Fall from the Sky?! And some of these rocks are not small—just ask the dinosaurs—some hit the ground in a field of debris the size of Texas. How terrifying would that be for my poor grandmother. But I’m a scientist, and scientists tell the truth. But what is a fact worth? Who would it hurt if dear old grandma lived on in ignorant bliss? I could see the little devils on my shoulder, and one of them was dressed like my mother. “Oh god, Rena, just this once,” she pleaded. The whole family watched in complete silence. Surely many of the same thoughts had just occurred to them in that same split second. Either that or they were morbidly curious about how I’d handle this blatant challenge to the existence of my scientific career (something I was teased about frequently). Cute story. It's pretty cool that you're a scientist and a writer. Do you write sci-fi? 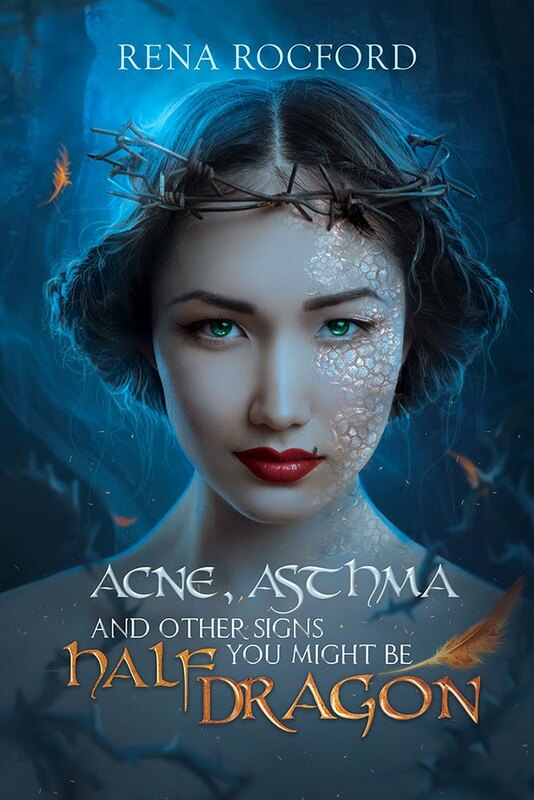 I write both science fiction and fantasy (hence the name of the blog, a mixture of my two writing passions). These moments also happen when you teach English to beginner-level students. I don't want to break a student's heart by telling her/him that, actually, there are no hard-and-fast rules about the use of articles in English. Yes, those "teaching" moments. I have a class of 250 right now, and they are teaching me more than I'd imagined. A perfect example of when being kind is more important than being right. Yes, it's always been a hard lesson for the scientist in me because the trait of unbiasedness is drilled into us from a very early age. I enjoyed that story! I agree with Sarah, kindness trumps being right! Thanks Charlie, and yes, kindness over correctness is important (though sometimes difficult for the scientist in me).